Beautiful Autumn Scenery In Mountains At Sunset. Red Clouds On.. Stock Photo, Picture And Royalty Free Image. Image 117778586. 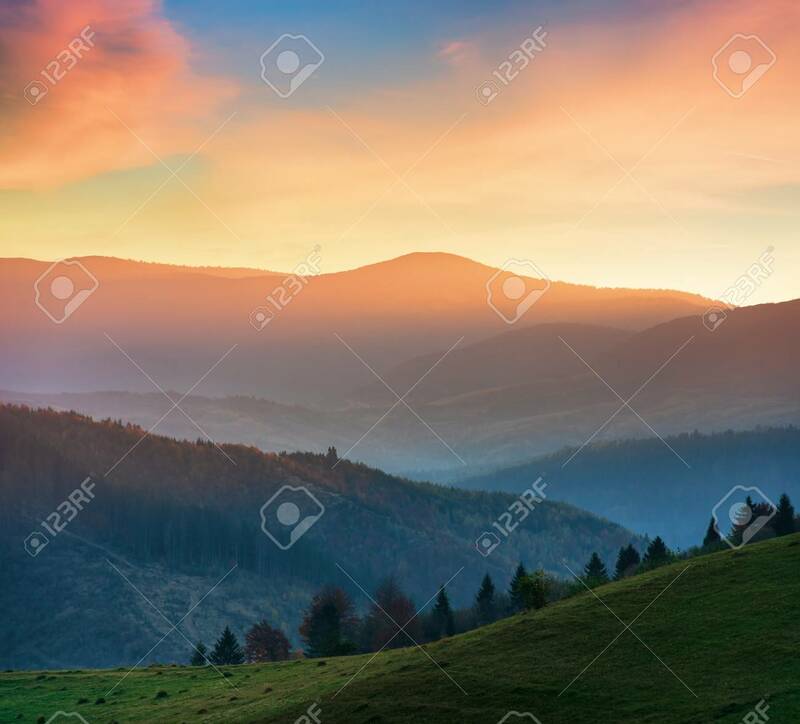 Stock Photo - beautiful autumn scenery in mountains at sunset. red clouds on the sky, blue shade in the mountains, grassy green meadow. beautiful autumn scenery in mountains at sunset. red clouds on the sky, blue shade in the mountains, grassy green meadow.